Engineering know-how can take MESA students big places — namely, this weekend’s prosthetic arm challenge state championship at UC Irvine. 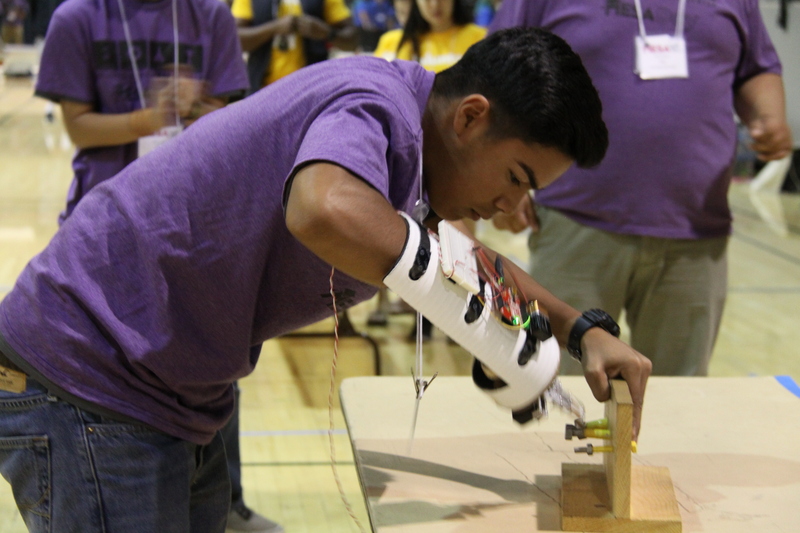 Eight teams have successfully demonstrated their engineering skills in preliminary and regional competitions, and now will compete for top bragging rights and the title of state champs for creating the best code-powered prosthetic arm. The winning middle and high school teams will move on to the national championship June 22-25 in Ogden, Utah. This competition bridges classroom learning with real world application and encourages students to think beyond what they learn in physics, calculus or geometry. And while “project-based learning” has been a hot term in recent years, this hands-on learning has been a key part of MESA’s award-winning model for decades. So, let’s meet our contestants! Good luck to all of our hard-working teams!